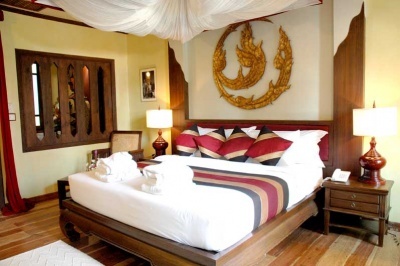 The Amata Lanna is situated close to the Night Bazaar. 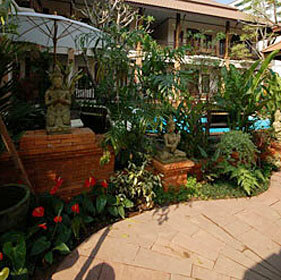 A small Lanna style boutique hotel, with exquisitely decorated rooms. An excellent place for relaxing but within a 2 min walk of the main city area. In total the hotel has only 12 rooms, so it is an ideal place for those looking for a quiet hideaway even at the busy times of year. 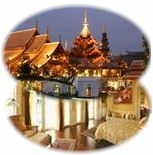 The Amata Lanna is an exquisitely decorated hotel situated only a few minutes walk from the Night Bazaar and Ping River. With only 12 rooms the hotel is never inundated with people and feels like your own private retreat in the cetre of town. 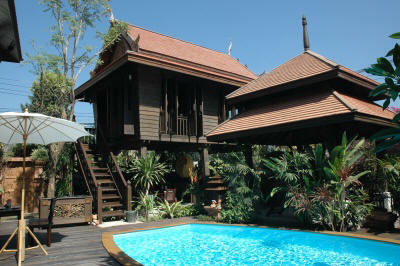 Easy access to anywhere in central Chiang Mai including banks, shops and restaurants. 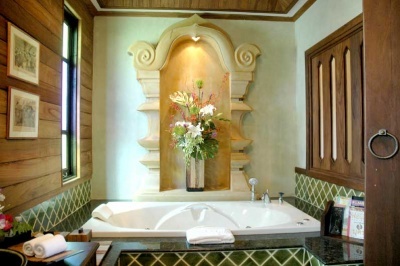 Rooms are arranged around a courtyard swimming pool and relaxation area. Only children under 5 yrs can stay free, if no extra bedding required - there is a charge of 250Bt for extra breakfast. 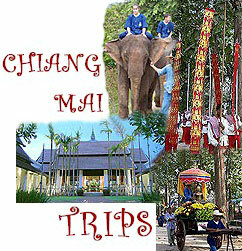 Pick up is available @ 500 /trip (one way - max 3 people) Please fill in arrival details if you have chosen hotel pick service.